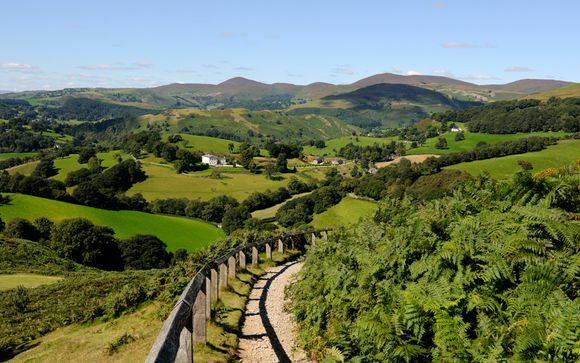 Ruthin Castle is the ideal base from which to explore the mountains, vales, woodlands, riversides and coastline of Denbighshire and Snowdonia whether on foot, cycling or by car. The county also offers adrenalin fuelled activities such as white water rafting, gorge walking, canyoning and abseiling. For those interested in historical sites hill forts, walled towns, castles, a medieval car trail, Ruthin Gaol and Pontcysyllte World Heritage Site (the tallest canal boat crossing in the World) are all within easy reach. Set within acres of woods and parkland a little over 20 miles from Chester, in an area of outstanding natural beauty, Ruthin Castle is a truly romantic hotel steeped in history. The castle dates back to the legend of King Arthur with notable owners including King Edward I, Henry VIII and Elizabeth I. This offer is based on a Castle Room. Exclusive and compact these rooms are fully finished to a high Visit Wales 4-star standard, bathrooms are modern, many with slate character including vanity unit and bath and/or shower facilities, whilst bedrooms are designed to reflect the character of this one of a kind magical Welsh Castle with views of the gardens and/or open fields and forestry. Choose between a bed and breakfast stay or dinner, bed and breakfast stay (2-course dinner on first night). 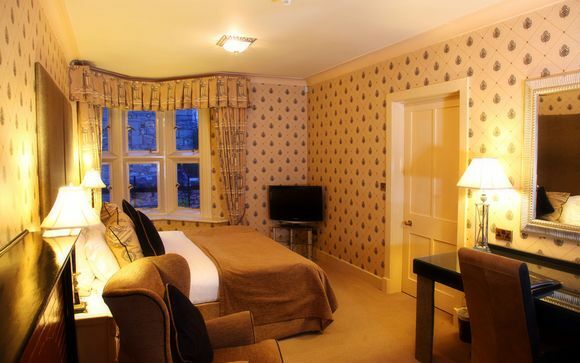 Just for you: those choosing the bed and breakfast option will receive a complimentary glass of Prosecco. 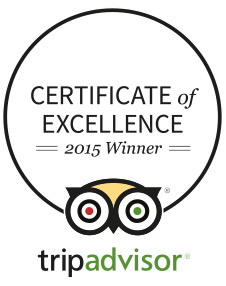 Prized Bertie's boasts prestigious accolades for outstanding food and service. The award winning head chef who held 3 rosettes for 11 years (Michael Cheetham) and team specialise in sourcing superior quality, fresh regional produce; procuring seafood from the nearby North Welsh coast, succulent local lamb from some of the best Welsh grazing land, locally grown vegetables, great Welsh cheese and even Welsh malt whisky. These fresh ingredients are used creatively with a strong modern pan-European influence to satiate even the most discerning palate. Relax in comfort at the Library Bar, a traditionally styled, oak panel bookcase room with magnificent ribbed ceiling, leather sofas and a welcoming fire. Enjoy a drink or a bite to eat from the popular Bar Menu served daily. Just for you: 20% discount on pre-booked spa treatments (prior to arrival). The Moat rests in the rustic woodland grounds of an ancient castle's moat, designed to challenge the concept of what has become the generic spa experience. 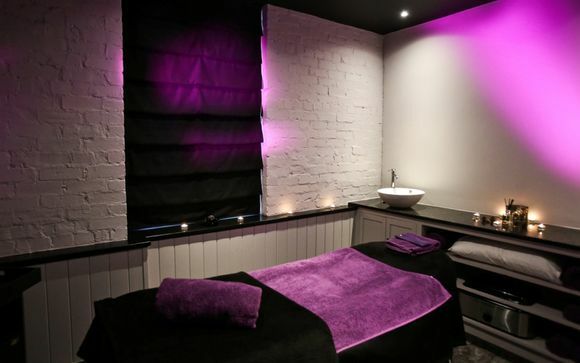 This very special spa has been painstakingly researched and draws heavily on its majestic North Wales setting in both its design and use of quality local products in the treatments offered. It is further influenced by a wide range of cultures from around the globe. Here you'll find a world of extremes from invigorating hot tubs coupled with cool spring water showers and cocoon seats swinging in the refreshing summer breeze. After your treatments, snuggle up with a blanket on one of the over-sized loungers overlooking a comfortably cosy fire.